Making the most of your income and investments is easier when you work with the tax planning professionals at 212 Tax. Our tax planning strategies go beyond basic compliance to help you maximize your income and move toward achieving your long-term financial goals. The tax accountants at 212 Tax can provide your NYC business with the forward-thinking advice you deserve. 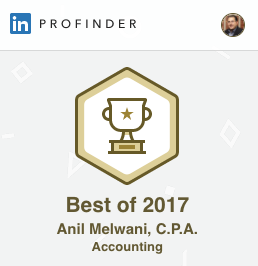 Our full-service firm provides year-end tax planning services in addition to complete CFO services, basic bookkeeping and payroll services, and sales tax reporting. When you work with 212 Tax, you can rest easy knowing that we master our region’s current tax codes and regulations. This helps us lower your tax burden throughout the entire year — not only at the end of the year. In most cases, hiring a professional tax planner allows you to save more in tax liability than our services will cost. When you choose 212 Tax, you’ll have experienced tax accountants on your side that will meticulously review your tax situation to create the best long term strategy for you. Whether you need comprehensive tax planning services for your business, you want to file your year-end return, or you need financial advice for the upcoming year, 212 Tax is here to help you. For more information about our tax planning services and strategies, complete our sidebar form or call us to schedule a consultation.